Holland Village, or Holland V as it is affectionately shortened to by those who call it home, has built itself a reputation as one of the go to places in Singapore when it comes to restaurants and bars. Its popularity is among both expats and locals, something that is reflected in the choice of dining options and watering holes, that range from a 24-hour kopitiam, a market and hawker centre, to many western bars, restaurants and chains – and everything in between. It was not always the case however. The area is in the Central Region of Singapore, and lies between Queenstown and Bukit Timah. Though the earliest settlers in the area, which was still very much occupied by nurseries and plantations, were the Dutch, the name actually derives from a local architect and budding actor who resided there – Hugh Holland. In 1907, a road was named in his honour – Holland Road, which in turn leant its name to the area. Several decades later, Holland Village was frequented by the British, especially those in the army who had moved into the many terraced and semi-detached houses that made up the area known as Chip Bee Gardens. This was the start of the move that was to make Holland Village synonymous with the upper and middle classes, many of who were members of the nearby establishments such as the Tanglin, Hollandse, American and Swiss Clubs. In turn developers saw opportunities to build high class semi-detached houses and bungalows for this new elite class of resident that were flooding into the area, and the village quickly became what it is today, an upmarket enclave. It is a lot more though than just a place for the well off to live, eat and drink. Holland Village, has a well deserved reputation for being not just bohemian, but also one for trailblazing the trends that the rest of Singapore then copies. When Palm’s Wine Bar opened in the 1980’s, it was the first of a spate of similarly styled wine bars that sprung up throughout the island. In a similar vein, Batter Batter and Milano Pizza – both started in Holland Village and had a similar effect on their respective markets. A decade later, Singapore’s first Mediterranean vegetarian restaurant opened in Holland Village, when Original Sin opened its doors in Chip Bee Gardens, spawning a raft of similar restaurants island wide. Also, though it may be hard to think of a time when the likes of Starbucks, TCC and Coffee Bean were not on practically every street corner and in every mall, the island’s first gourmet coffee shop – Coffee Club was first established in none other than Holland Village. The final piece in Holland Village’s jigsaw, and the thing that will ensure its enduring success was the opening of its own MRT station on the 8th October 2011, celebrated in true Holland Village style with a carnival style parade and party. Three main areas make up Holland Village, each with their own distinct look and feel. 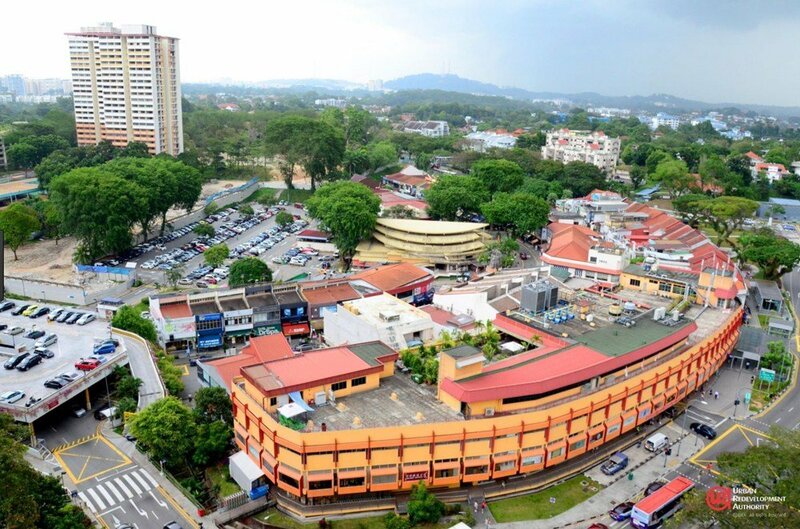 Holland Village proper is the part most visitors frequent, and is the cluster of shop houses and small scale malls in and around Lorong Liput and Lorong Mambong, within Holland Road and Avenue. Chip Bee Gardens is across Holland Avenue, and is set in 1950’s housing formerly built for and used by the British military. Finally, located to the south of Chip Bee Gardens, sits Holland Close, a large HDB estate.